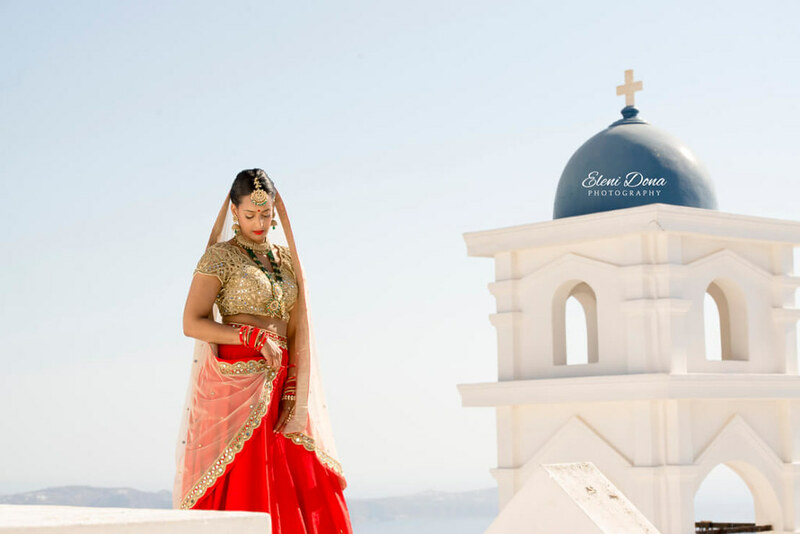 Immersing yourself in a foreign culture presents the opportunity to check out new twists on unique old traditions and rituals that can add “depth” to your wedding. 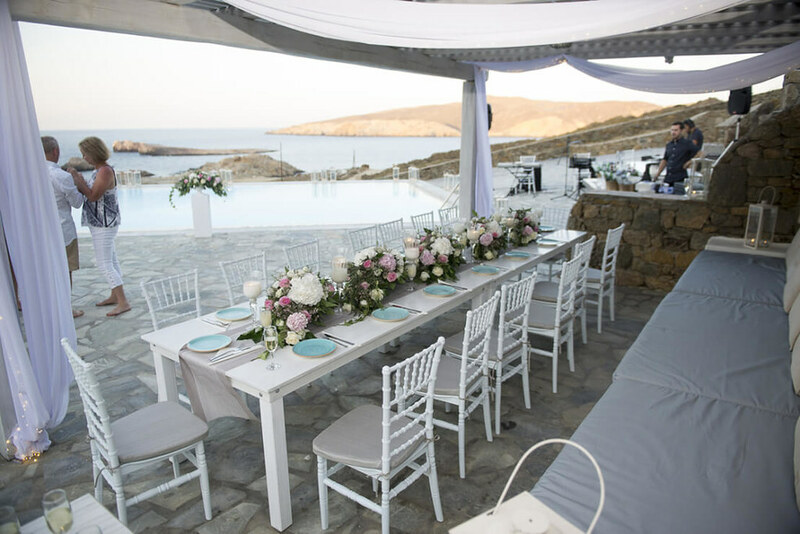 Why not embrace the customs and traditions of your destination, and add little meaningful touches to your wedding ceremony and reception in Greece? 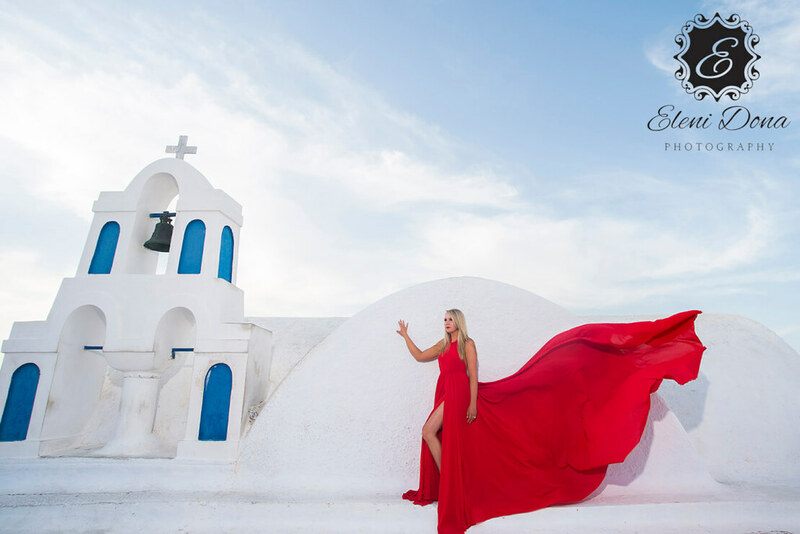 A stunning and fun tradition that all brides in Greece cherish is writing the names of their single girlfriends on the soles of their bridal shoes. It is said that the names that will be erased… are the names of the next women who will get married; and who doesn’t want another wedding, right? This is a very old tradition, although not everyone does it nowadays. On the day of the wedding, the best man or the best friends of the groom shave him. 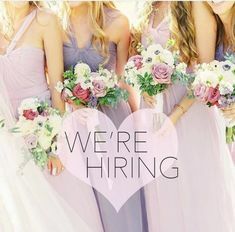 The purpose of this custom is twofold: first of all, the groom is thought to be too nervous to perform the act himself without getting cut and secondly, this is the last opportunity for the groom to get dressed and prepared for a big event with the help of some male friends (instead of a wife!). During the ceremony, two metal or floral crowns (“Stefana” in Greek) are blessed by the priest and passed between the bride and the groom three times before being placed on their heads. The crowns are joined together with a ribbon which represents the unity of the newly-weds and their special, eternal bond. 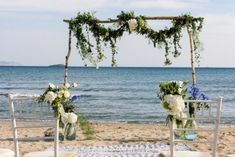 When the ceremony has been completed, the crowns are to be placed into a special box that will remain with the couple throughout their lifetime. Rice throwing is a custom which dates back to the ancient Romans; rice is still considered to be a symbol of fertility. Just check with your wedding venue to ensure that throwing rice is permitted in or at the entrance of the building – and, if you’re not comfortable with rice, try rose petals! Offer your guests individually packaged sachets with sugar-coated almonds, aka Jordan almonds. The number of the almonds should be odd according to the local tradition; odd numbers are indivisible (not divided by 2) and thus they symbolize how a new couple will share everything. The sweetness of your treat has an important significance too; the sugar coating is added as a wish that the couple’s life will be more sweet than bitter, just like the almond favors. Individual thank you notes that will explain the meaning and symbolism of this favor can be put inside the sachets. 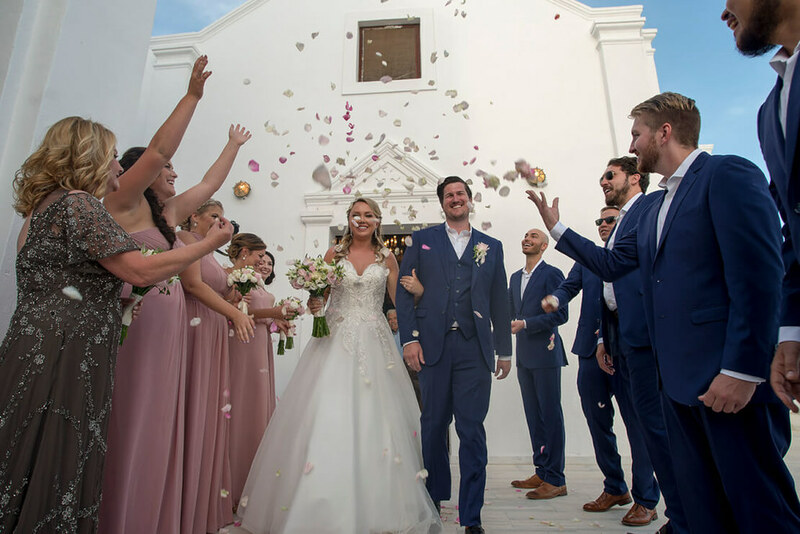 Make your wedding the most talked-about foodie event of the year with special recipes and traditions – nobody goes home hungry after a Greek wedding! Ask your wedding planner in Greece what the local customs of your destination are and incorporate them into your menu. For example, if you are tying the knot in Crete, taste the famous “gamopilafo”, aka goat meat and rice boiled in the meat broth; the name of this delicious dish means “the rice of the wedding day”. 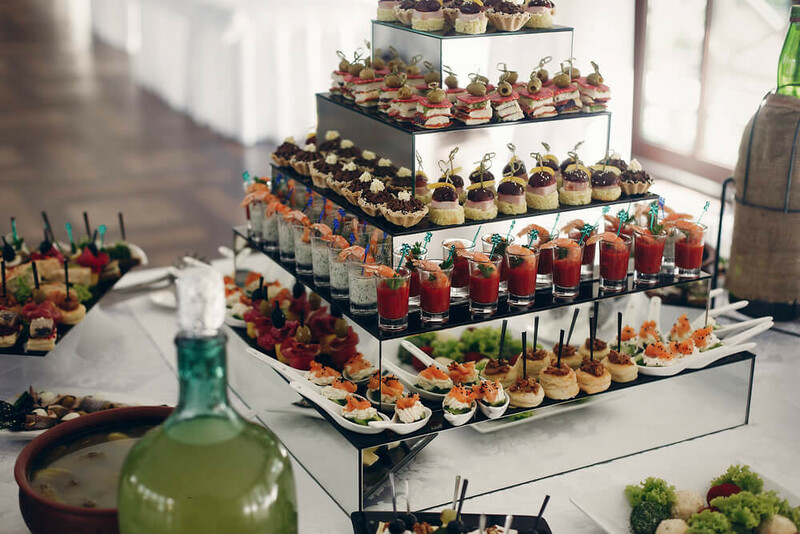 It would also be a great idea to serve “mezedes”: these are dishes with bites of delicacies as starters that are put in the middle of each table. 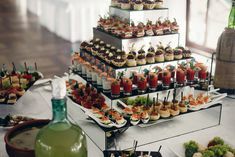 When small gourmet bites are brought to your guests, they will be encouraged to mix and mingle without having to stand in a food line! Unlike Western weddings, speeches are not made at Greek wedding receptions. People here get straight to the point: eat and dance! As soon as the newlyweds enter the reception, it’s party time – everyone is up and dancing in a circle. Traditional dances here are integrally linked to the notion of happiness that a wedding brings; that’s why a Greek wedding never winds down in a few hours – so if you want to have a fun party till the early hours the way the locals do, make sure that your venue manager understands that your party’s likely to run late into the night! If you want to nod to Greek culture, embrace the tradition of wearing lucky charms and using odd, lucky numbers for everything! Greeks are always prepared to ward off the evil eye (aka a gaze or stare superstitiously believed to cause harm). That’s why every bride usually wears an evil eye charm and arranges everything according to an odd number; for example, the number of flowers in the bridal bouquet must be odd. An odd number cannot be divided – which is what we hope for you too! So, there you have it – what happens at an actual, genuine big fat Greek wedding. 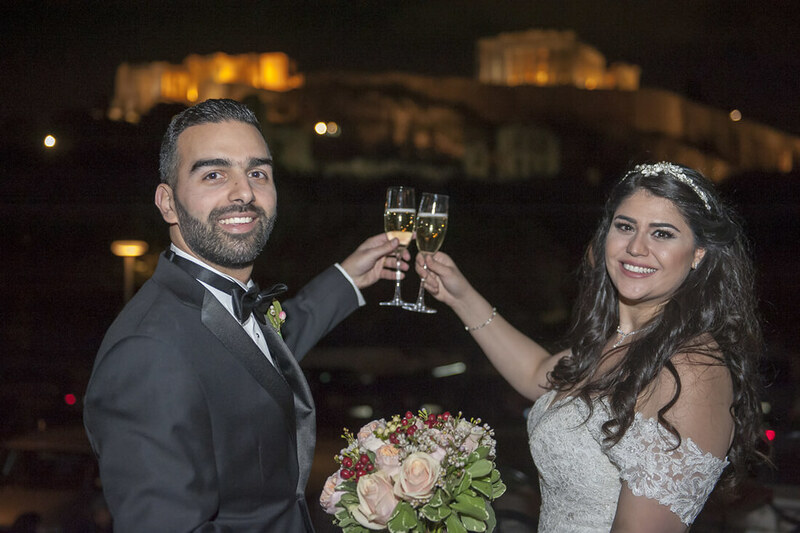 For detailed expert advice on how to weave these customs into modern day wedding planning, just ask our professional wedding team in Greece!